The Open Group kicked off its first event of 2017 on a sunny Monday morning, January 30, in the City by the Bay, with over 200 attendees from 20 countries including Australia, Finland, Germany and Singapore. The Open Group CEO and President Steve Nunn began the day’s proceedings with a warm welcome and the announcement of the latest version of the Open Trusted Technology Provider™ Standard (O-TTPS), a standard that specifies best practices for providers to help them mitigate the risk of tainted or counterfeit products or parts getting into the IT supply chain. A new certification program for the standard was also announced, as well as the news that the standard has recently been ratified by ISO. Nunn also announced the availability of the next version of The Open Group IT4IT™ standard, version 2.1. Monday’s plenary focused on IT4IT and Managing the Business of IT. Bernard Golden, CEO of Navica, spoke on the topic,“Cloud Computing and Business Expectations: How the Cloud Changes Everything.” Golden, who was named as one of the 10 most influential people in cloud computing by Wired magazine, began with a brief overview of the state of the computing industry today, which is largely characterized by the enormous growth of cloud computing. Golden believes that the public cloud will be the future of IT moving forward. With the speed that the cloud enables today, IT and app development have become both the bottleneck and differentiator for IT departments. To address these bottlenecks, IT must take a multi-pronged, continuous approach that uses a combination of cloud, Agile and DevOps to address business drivers. The challenge for IT shops today, Golden says, is also to decide where to focus and what cloud services they need to build applications. To help determine what works, IT must ask whether services are above or below what he calls “the value line,” which delineates whether the services available, which are often open-source, will ultimately advance the company’s goals or not, despite being low cost. IT must also be aware of the fact that the value line can present a lock-in challenge, creating tension between the availability of affordable—but potentially buggy—open-source tools and services and the ongoing value the business needs. Ultimately, Golden says, the cloud has changed everything—and IT must be willing to change with it and weigh the trade-offs between openness and potential lock-in. Forrester Research analysts David Wheable, Vice President and Principal Consultant, and David Cannon, Vice President and Group Director, took the stage following Golden’s session to discuss “The Changing Role of IT: Strategy in the Age of the Customer.” Wheable spoke first, noting that technology has enabled a new “age of the customer,” an era where customers now have the majority of the power in the business/customer relationship. As such, companies must now adapt to how their customers want to interact with their businesses and how customers use a company’s business applications (particularly via mobile devices) in order to survive and prevent customers from constantly changing their loyalties. Because IT strategists will not be able to predict how customers will use their applications, they must be able to put themselves in a position where they can quickly adapt to what is happening. Cannon discussed what IT departments need to consider when it comes to strategy. To develop a viable IT strategy today, companies must consider what is valuable to the customer and how they will choose the technologies and applications that provide customers what they need. In the current IT landscape, features and quality no longer matter—instead, IT must take into account customers’ emotions, desires and immediate needs. Continuous exploitation of digital assets to deliver customer outcomes will be critical for both digital and business strategies—which Cannon argues are now essentially the same thing—moving forward. To survive in this new era, IT departments must also be able to enable customer outcomes, measure the customer experience, manage a portfolio of services, showcase business—not just technical—expertise and continue to enable service architectures that will deliver what customers need and want. After the morning coffee break, Author and Researcher Gene Kim discussed his recent book, The DevOps Handbook. His session, entitled, “The Rise of Architecture: Top Lessons Learned while Researching and Writing The DevOps Handbook,” explored the example of high performers in the tech sector and how the emergence of DevOps has influenced them. According to Kim, most IT departments are subject to a downward spiral over time due to the exponential growth of technical assets and debt during that time, which ultimately weigh them down and affect performance. In contrast, according to Kim’s research, high-performing organizations have been able to avoid this spiral by using DevOps. Organizations utilizing DevOps are nearly three times more agile than their peers, are more reliable and two times more likely to exceed profitability, market share and productivity goals in the marketplace. The ability to deploy small changes more frequently has been a game changer for these high-performing organizations not only allowing them to move faster but to create more humane working conditions and happier, more productive workers. Kim also found that fear of doing deployments is the most accurate predictor of success in organizations—those that fear deployments have less success than those that don’t. The final session of the morning plenary was presented by Charles Betz, IT Strategist, Advisor and Author from Armstrong Process Group. Betz provided an overview of how the IT4IT framework can be used within organizations to streamline IT processes, particularly by automating systems that no longer need to be done by hand. Standardizing IT processes also provides a way to deliver more consistent results across the entire IT value chain for better business results. Taking an iterative and team-oriented approach are also essential elements for managing the body of knowledge necessary for changing IT processes and creating digital transformation. 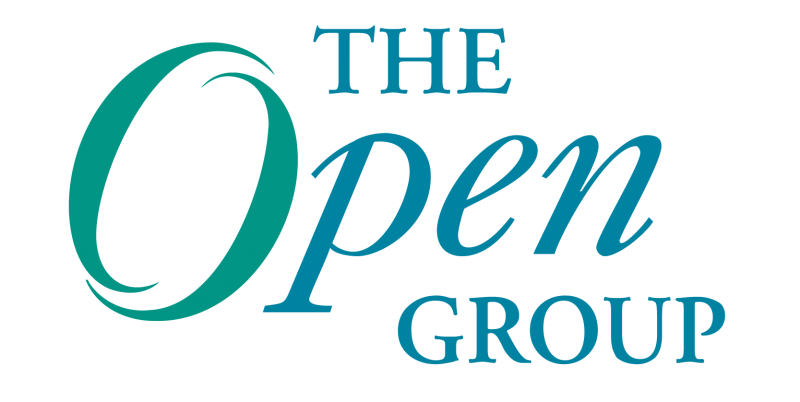 Monday afternoon, The Open Group hosted its fourth TOGAF®, an Open Group standard, User Group meeting in addition to the afternoon speaking tracks. The User Group meeting consisted of an Oxford style debate on the pros and cons of “Create versus Reuse Architecture,” featuring Jason Uppal, Open CA Level 3 Certified Architect, QRS, and Peter Haviland, Managing Director, Head of Engineering & Architecture, Moody’s Corporation. In addition to the debate, User Group attendees had the opportunity to share use cases and stories with each other and discuss improvements for TOGAF that would be beneficial to them in their work. IT4IT in Practice – Rob Akershoek from Logicalis/Shell Information Technology International moderated a panel of experts from the morning plenary as well as sessions related to presenting IT4IT to executives, the role of EA in the IT value chain and using IT4IT with TOGAF®. Digital Business & the Customer Experience – Featuring sessions on architecting digital businesses and staying ahead of disruption hosted by Ron Schuldt of Femto-data. Open Platform 3.0™/Cloud – Including talks on big data analytics in hybrid cloud environments and using standards and open source for cloud customer reference architectures hosted by Heather Kreger, Distinguished Engineer and CTO International Standards, IBM. Open Trusted Technology – Trusted Technology Forum Director Sally Long introduced sessions on the new O-TTPS self-assessed certification and addressing product integrity and supply chain risk. Open Business Architecture – Featuring an introduction to the new preliminary Business Architecture (O-BA) standard presented by Patrice Duboe, Innovation VP, Global Architects Leader from the CTO Office at Capgemini, and Venkat Nambiyur, Director – Business Transformation, Enterprise & Cloud Architecture, SMBs at Oracle. Monday’s proceedings concluded with an evening networking reception featuring the day’s speakers, IT professionals, industry experts and exhibitors. Thanks for the San Francisco event also go to the event sponsors, which include Premium Sponsors Good eLearning, Hewlett Packard Enterprise, Orbus Software and Simplilearn, as well as sponsors Van Haren Publishing, the Association of Enterprise Architects and San Jose State University.